Kathputli show has been one of the oldest form of entertainment. 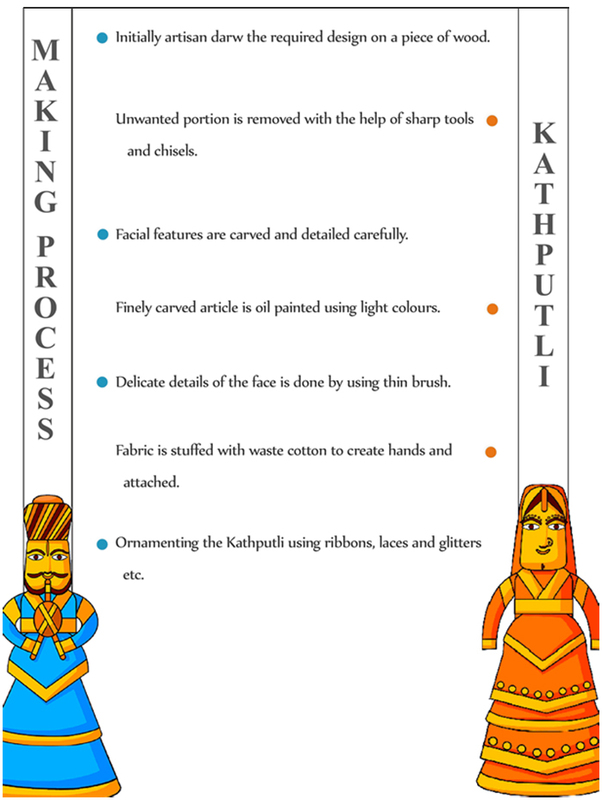 Kathputli has three main parts, such as head, shoulders and hands. 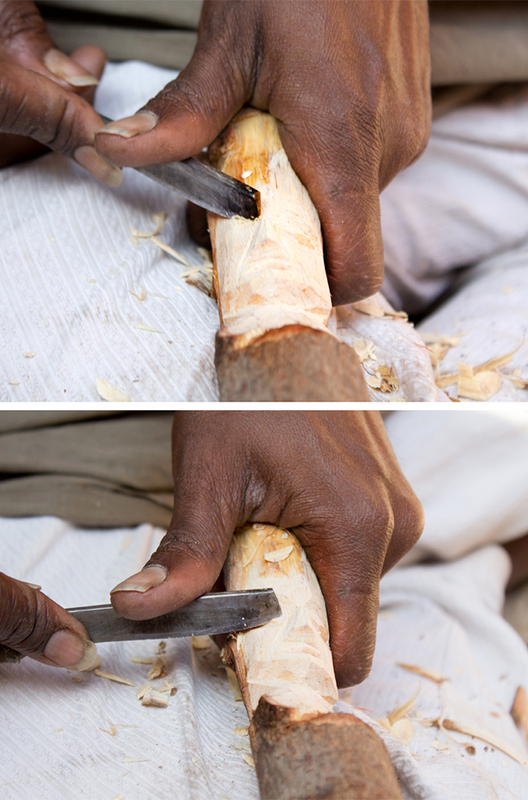 The head and shoulders are made of wood whereas the hands and the body are stuffed with cotton. 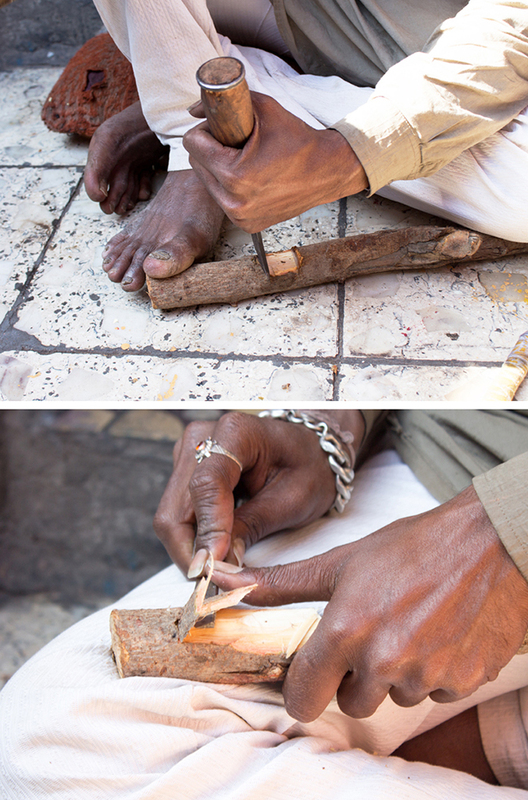 Mango wood is the basic material for Kathputli making because mango wood is durable. Other than wood it also includes colourful fabric, waste cotton and threads. 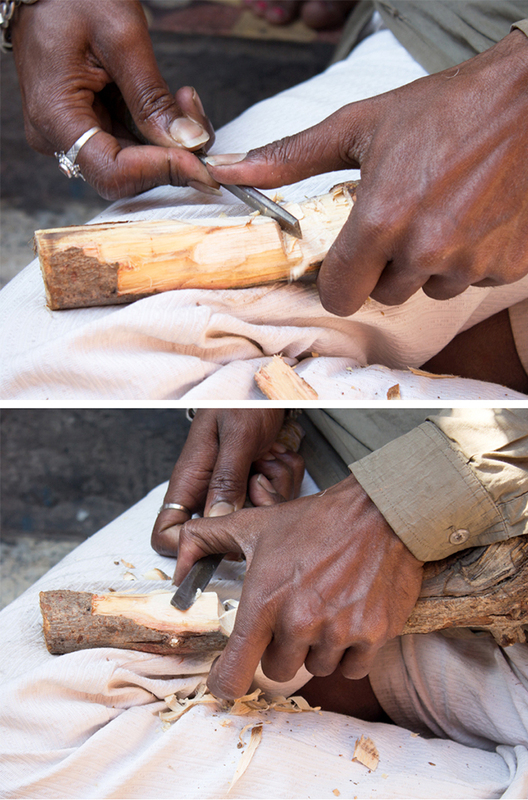 Initially artisan draw the required design using pencil and then the unwanted is chiseled out using sharp tools and chisels. 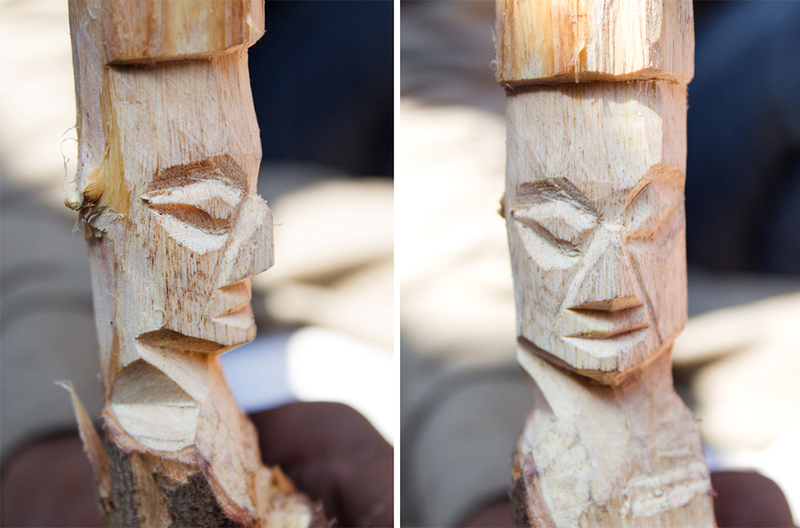 The facial parts like eyes, sharp nose and lips are carved carefully. 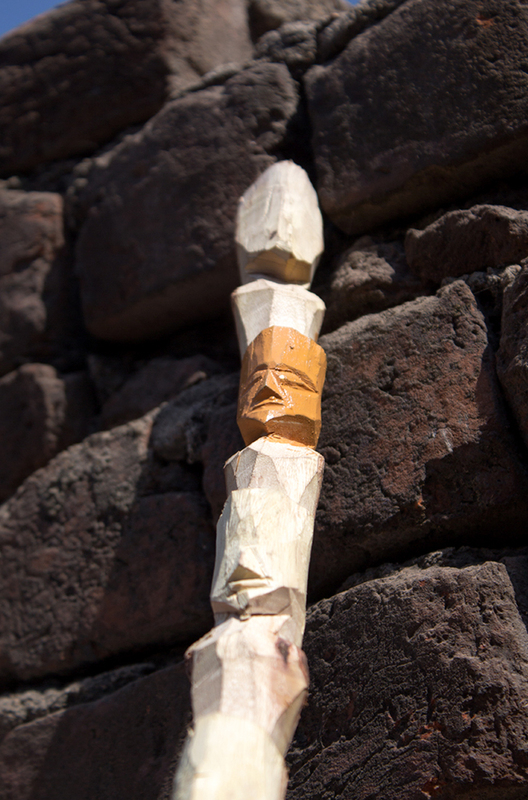 The face, neck and head of puppet is carved out of a single piece wood. 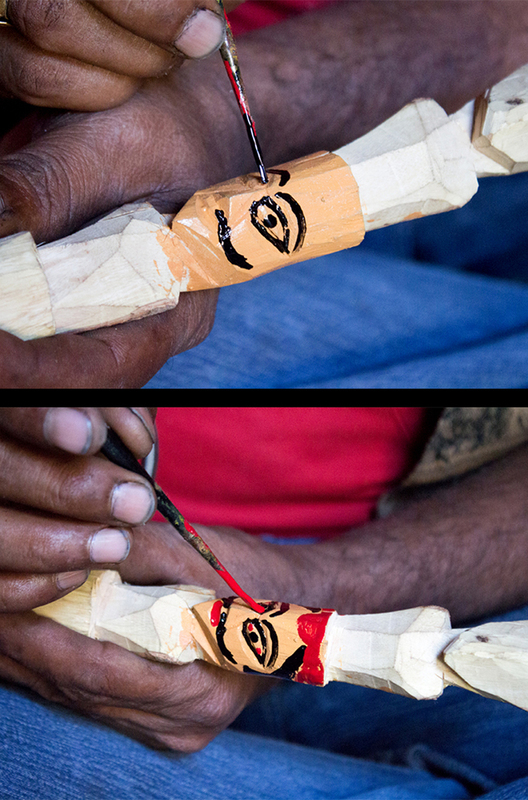 The finely carved article is oil painted in light colours like skin colour or yellow colour or white colour and the delicate details of the face like elongated and stylized eyes, sharp nose and lips are done by using thin brush. Fabric is attached to the carved and painted article. 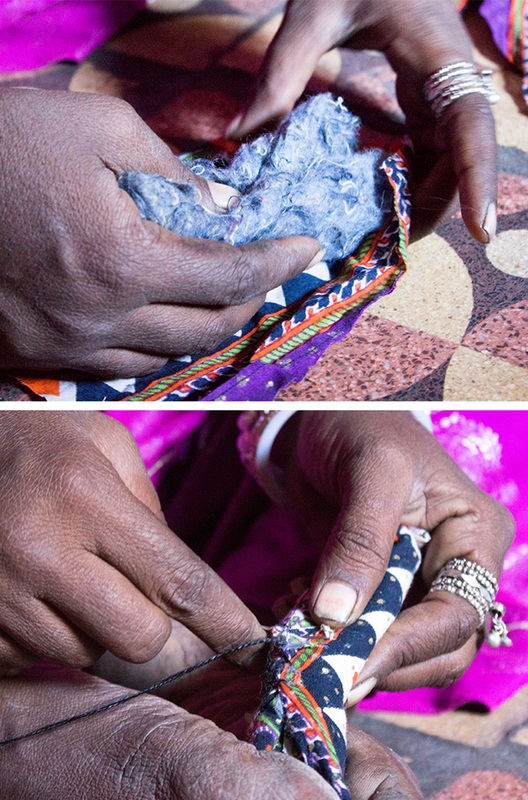 A fabric is cut in to pieces and stitched and then the fabric is stuffed with waste cotton to create the hands which are further wrapped and stitched using needle and thread. 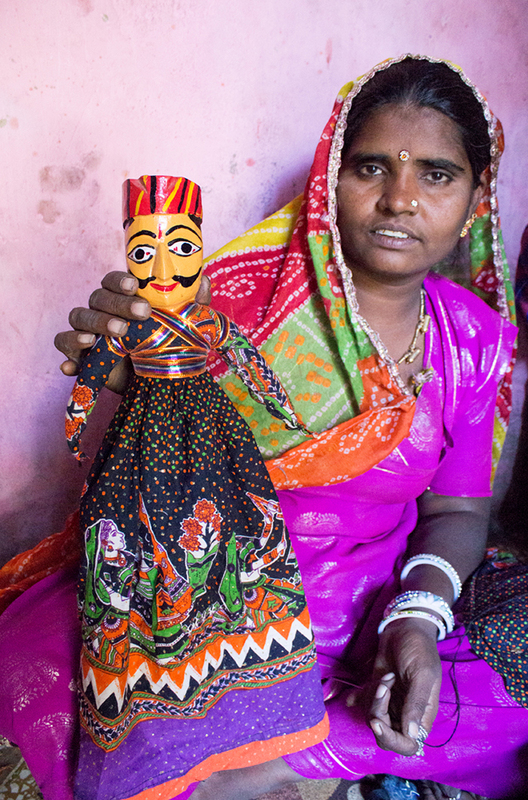 If the puppet is female, artisan drape a designed fabric on the head and skirt is attached to the body using a strong glue to give a traditional attire. The whole body is covered with bright coloured fabric to give a perfect shape to the Kathputli. 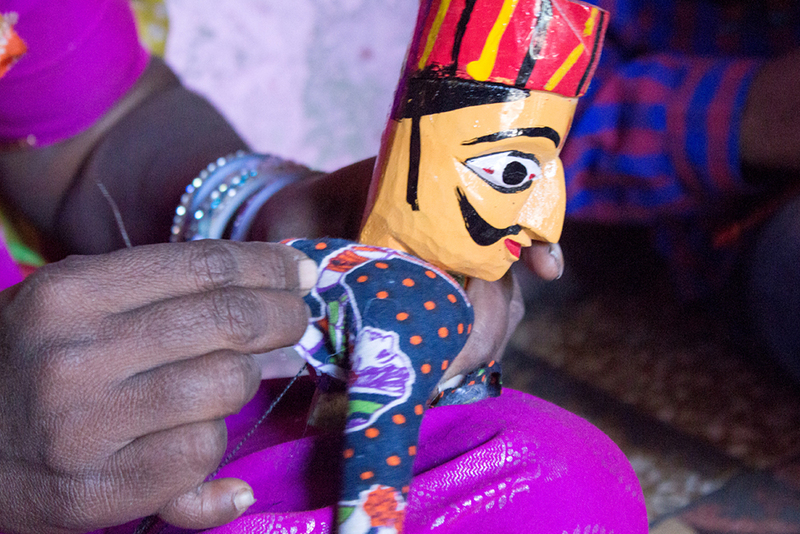 Once done with clothing artisan start to decorate the puppet by using ribbons, laces and glitters etc. 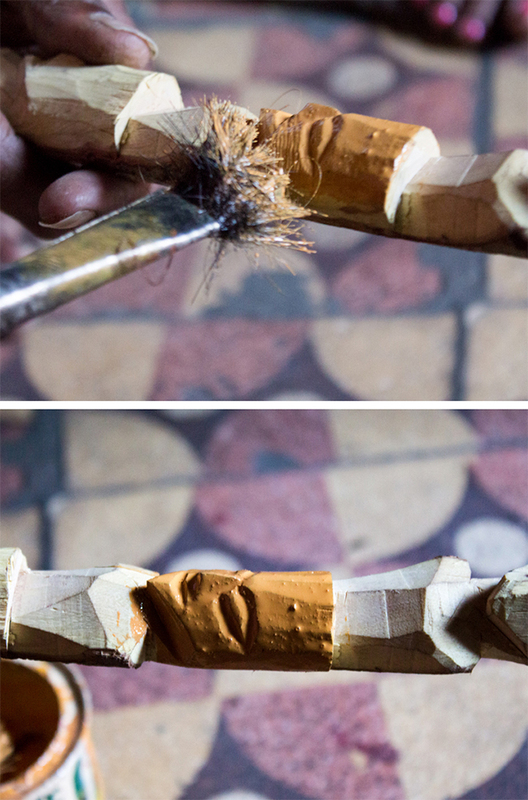 A string of 40 inches in length is tied to the head to hang.